JACKSONVILLE, Fla. — A downtown landmark that has been the topic of planning and conversation for major renovation for years now is not in the city's capital spending plans this year. The six acres of waterfront property is owned by the city, and developer Toney Sleiman owns the structure and the long term lease to the property. In the city's capital budget, there is a line item for the Landing calling for $11.8 million dollars for roads and infrastructure improvements. 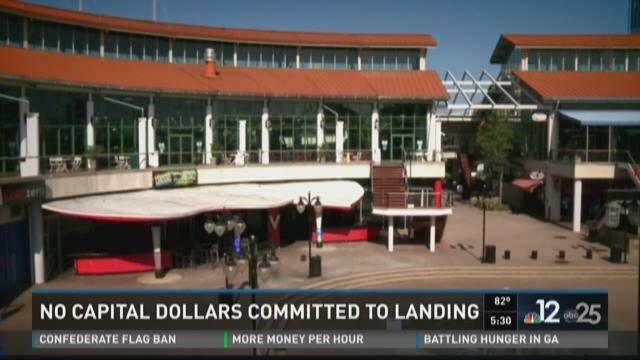 The mayor or the city council did not propose to include money this year for the Landing. Sleiman refers to the property as "ground zero" at the heart of the city and is optimistic something will happen. The Downtown Investment Authority is currently working on plans for the property. The public will be invited in August to weigh in on the project. Last year, then Mayor Alvin Brown proposed spending nearly $12 million to jump start the project, but the council did not approve spending the money.